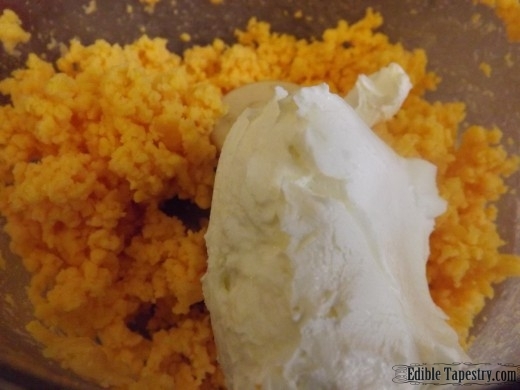 5 Minute Pumpkin Cheese Ball for Halloween Fun. 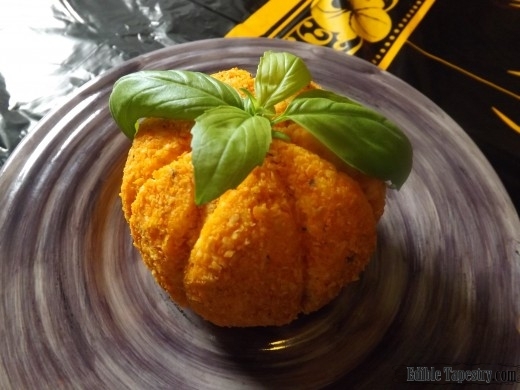 This pumpkin shaped cheese ball idea is all over the place. I saw a picture of one in Google Images and ran with it when I was making the menu for our Walking Dead premiere buffet earlier this month. It’s ready to serve in 5 minutes flat, if even that long. 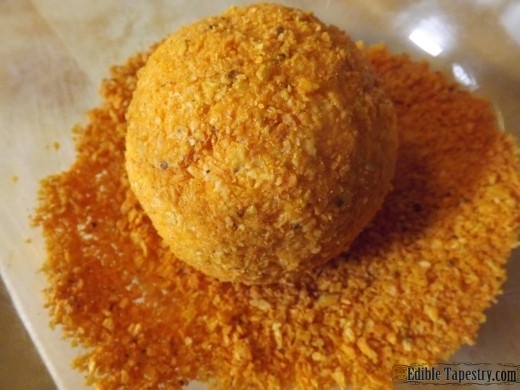 Using a little grated cheese and softened cream cheese, with or without herbs and spices thrown in, it’s really easy to whip up a festive cheese ball. I usually roll them in nuts during the Christmas season, but this one is rolled in crushed cheesy tortilla chips. I used a bamboo skewer to make the pumpkin ridges and a sprig of basil leaves for the top. 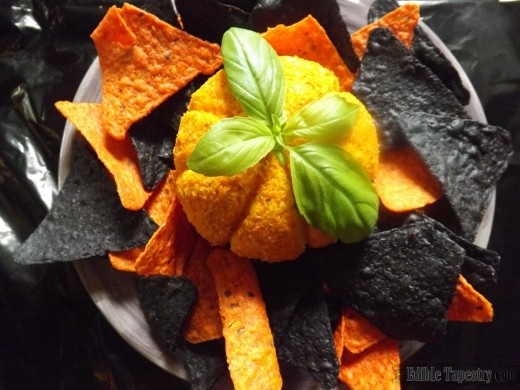 Because it’s October and the Halloween goodies are out, I stumbled across black and orange tortilla chips to serve with it. A freaky purple plate made the perfect serving tray. 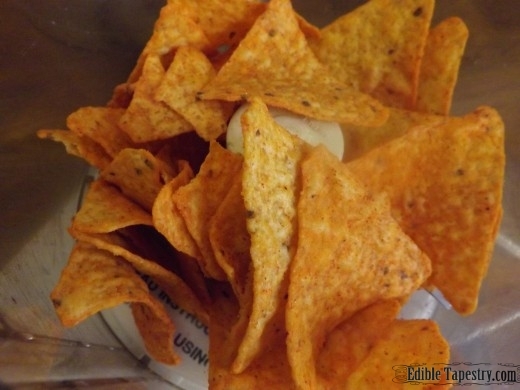 Crush the nacho chips in a food processor. Set aside. 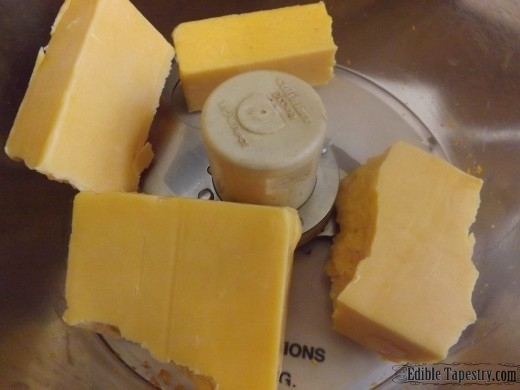 Whir the cheddar cheese in the food processor to quickly grate it. 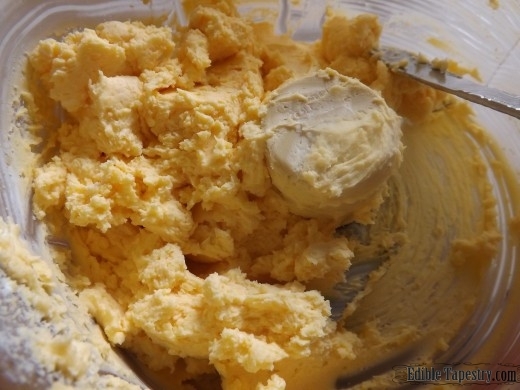 Add the cream cheese to blend. 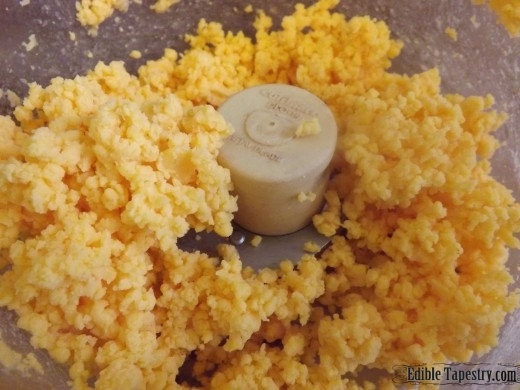 Shape the cheese mixture into a ball, using your hands. 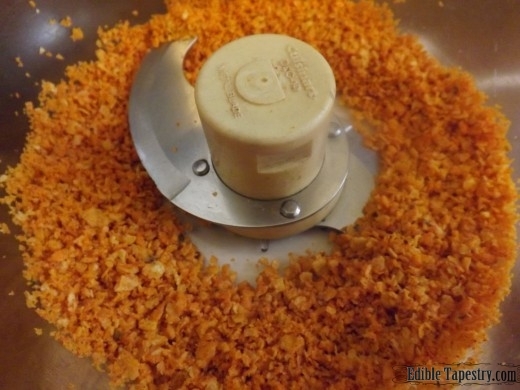 Roll the ball in the nacho crumbs. 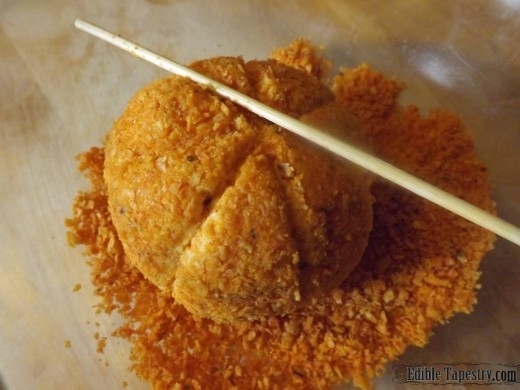 Place the end of a bamboo skewer flat against the side of the cheese ball and roll it from top to bottom to make a ridge. Repeat to form the sides of the pumpkin. 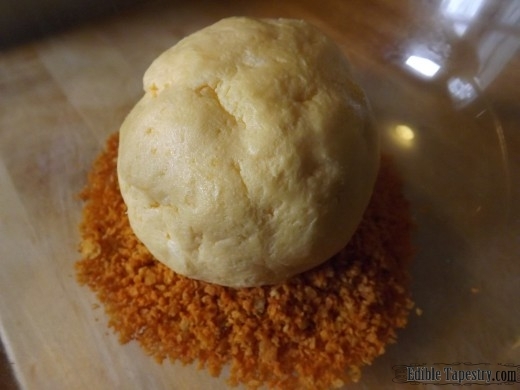 Use your fingers to soften the edges. Place the basil stem in the top. This is cool! I think we may try this! « Zombiefest with The Walking Dead Season 5 Premiere ~ Chocolate Mint Zombie Cookies Recipe!